Over the last few weeks, the biggest buzz surrounding the burgeoning Chinese Pro Wrestling scene has been that of the All Elite Wrestling alliance with Oriental Wrestling Entertainment. 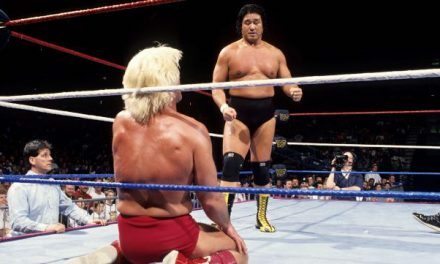 Certainly, this news is big for the Chinese wrestling scene because, as Adrian Gomez, owner of Middle Kingdom Wrestling, explains in this LWOS Article, “What wrestlers need more in China is more ring experience.” Beyond that pure logging of hours of ring time, however, they need more opportunities to work with talent who are already at a high professional level, who can help them learn through that experience. AEW will provide both of these to their Chinese partners in OWE but what about the rest of the scene? The talent pool has long had a lot of crossover in the Chinese Pro Wrestling scene, due to how shallow it has typically been, so one can already expect to see talent playing the field. However, over the last year or so I’ve witnessed a stronger tendency towards guys being “x company guy,” focusing more often on one brand than another. This has caused, to an extent, a decrease in the lack of cross-promotional opportunities in the country. With that in mind the following five Chinese performers, all operating outside of OWE, are those whom companies like All Elite Wrestling or contemporaries like Ring Of Honor and Impact Wrestling et al. should keep an eye on and look to bring into their fold. Before we get too deep into this list, however, there are a few things to cover. 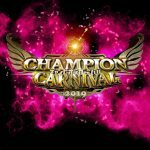 First off, breakout Hong Kongese star Jason Lee is not on this list, as I felt he isn’t somebody whom people need to keep an eye on, he’s someone people are already keeping an eye on, and the fact that he is using his Dragon Gate connections to help strengthen the Hong Kong scene is exemplary behavior. Secondly, “Selfie King” Hong Wan would have been on this list were he presently actively performing, but he has decided to take some time away from wrestling. I personally hope to see him back in action eventually, but it’s not something I can say with certainty will happen. Lin Dong Xuan presently works for Oriental Heroes Legend, Simon Inoki’s Chinese-centric rebranding of the IGF, where he had been recruited into the Shanghai satellite dojo. As such he has the distinct benefit of getting to tour Japan working with Pro Wrestling NOAH and receiving training from NOAH standout Hajime Ohara. This puts him, and his classmates, in the unique position of getting to regularly train with veteran Japanese talent, a benefit OHL’s Chinese students share with only one other Chinese promotion, OWE, whose trainees have regular sessions with CIMA as their head coach. One of only two Chinese talents to feature on the NWA/CWFH Wenzhou show, Lin Dong Xuan is a natural heel, who looks most at home when he’s disrespecting his opponents or punching them in the testicles. This is something that hasn’t gone unnoticed by Hajime Ohara, who agrees with my assessment in one of his blogs from training the OHL roster. Ohara also noted that he seemed to have improved the most throughout his time with Lin Dong Xuan. This improvement has even led to him being granted victories in the opening bouts at NOAH shows he has performed on. With their partnership so fresh, this speaks to the level of faith both NOAH and OHL have put in him. Not the flashiest competitor, Lin Dong Xuan’s training in a very traditional Japanese regiment is, however, making him very sound, fundamentally speaking. In due time he should prove to be the first breakout star from Inoki’s Shanghai dojo project, and a strong competitor tempered in the NOAH system. Billed by MKW as “Masterclass,” Michael Su is a remarkable prospect to emerge from their very young training system. Within his very first year he’s done enough to attract my attention and has attracted attention beyond myself, prompting LWOS to write an entire profile on him. How, exactly, does a performer in such a young scene as the Chinese Pro Wrestling scene go about doing this? A strong component of it is his charisma, which seems to ooze effortlessly out of him when in character, and an early detectable level of professionalism. During his first outing it was obvious he was willing to invest in himself, ensuring his gear and he looked great. This may seem like a small thing but, in a scene where a lot of people have had some subpar gear, getting yourself to look and feel like a genuine pro so quickly is quite telling. This investment in himself, to be the best pro wrestler he can be, goes well beyond his ring gear. 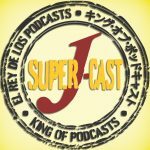 As his LWOS profile can attest to, he took the opportunity to participate in the NJPW LA Dojo training for a week, under the guidance of Katsuyori Shibata, and believes he has to keep pushing himself. When you combine this early sense of professionalism and dedication with his rapid development in ring and the upcoming increased interconnectivity and chances to perform in the Chinese scene, Michael Su could very quickly find himself being a huge star with a lot of upsides a company looking to get into the Chinese market would want to capitalize upon. 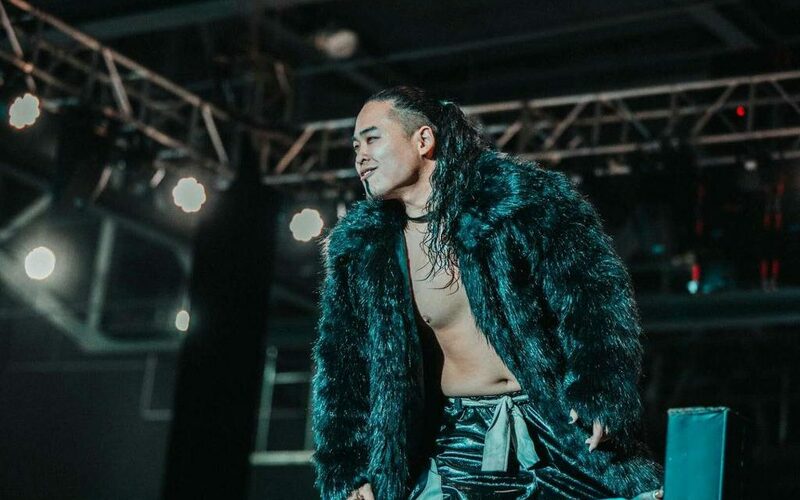 These qualities have led to Michael Su getting good opportunities in the scene, main eventing in MKW very shortly after his debut against top-tier established MKW talent Ash Silva, and getting to work at least one dark match on Dragon Gate’s Hong Kong shows. In fact, I was so looking forward to how he would up his game when performing on the DG shows that I was quite upset to learn they weren’t filmed for their network broadcast of them. In the end, Michael Su will only be a rookie for so long, so get your eyes on him now and see how much he improves as he builds his young career performance by performance. Bitman is one of the wrestlers in China with a longer tenure, considering the short amount of time the art has been in the country. His dedication to the scene has led to strong improvements in both his performance and his physique. From Hong Kong, Bitman came up initially through Ho Ho Lun’s HKWF and he still works closely with Lun on all of his ventures today, but has also gone on to work in most of the Chinese scene’s promotions. He’s even followed in fellow Hong Kong native Jason Lee’s tracks on an excursion to Dragon Gate in Japan. Bitman has a good physique and moves with confidence in the ring. His style is very influenced by Japanese performers, or those inspired by them, featuring many suplexes and hard strikes. He executes on these all with remarkable aplomb. 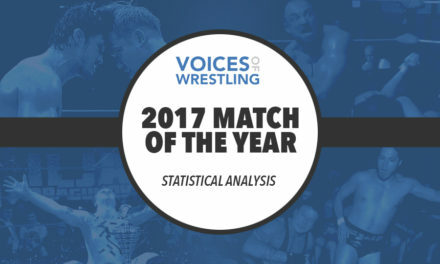 But beyond his well-composed moveset and solid execution lays a strong grasp of physical comedy, where he goofs around with his opponents who are up to the task, leading to spots like pelvic gyration hypnosis and the referee being switched into the match in place of a competitor who then starts reffing. It’s comedy that tracks and reads well despite the language barrier that is often present. Bitman’s clearly had a vision of his performance end goal since the beginning. His proclivity for the colour of his gear to be predominantly white has stayed a constant in every match I’ve seen him in. Prior to using his arm drag knee strike as his primary striking signature move he used a double foot stomp. The path from the latter to the former is a clear one, in my eye, as an evolution on the same core principles. Having a strong idea of how to best present himself, and striving to improve and evolve that idea and its well-constructed bounds, has paid off for Birman. Often Bitman is entrusted with matches with successful foreign talent, having worked opposite pairing like Jay Lethal and Colt Cabana, and The Grizzled Young Vets James Drake and Zack Gibson (then PROGRESS and now NXT UK Tag Team Champions,) with his semi-regular tag team partner King Michael. He has proven to me that he has all the tools he needs to be a success story in Chinese Pro Wrestling, he just needs more of the kind of opportunities working with guys like Lethal/Cabana and the Dragon Gate tour offered him. Ho Ho Lun was on the mainstream western wrestling radar for a split second, but a self-admitted weak performance at the WWE Cruiserweight Classic, and being saddled with babysitting the unilingual Chinese recruits to the WWE Performance Centre led him to go stealth mode for a while before his inevitable release. Prior to his time with the WWE, Ho Ho Lun showed solid promise as an in-ring performer and has always had a solid visionary role in developing the Chinese scene. Ho Ho Lun may not be the best performer in the Chinese Pro Wrestling scene, however there are none quite as influential and forward-looking as he. Ho Ho Lun has a vision for the growth and success of not just the burgeoning Chinese scene, but that of the entirety of Asia. Having been trained by The Slam, the man who brought Pro Wrestling to mainland China, Ho Ho Lun’s roots in the scene run deep. Before his call from the WWE Lun had already established the Hong Kong Wrestling Federation (HKWF,) and this entrepreneurial spirit would not be hampered by his time in the land of McMahon. Upon his return to Chinese Pro Wrestling, Ho Ho Lun would go on to work with Ryan Chen to create the Guangzhou-based King of Pro Wrestling (KOPW) brand. Their shows have seen very good numbers on Chinese streaming platforms and the brand is now approaching its one year anniversary. He would also work towards expanding Pro Wrestling into China’s other Special Administrative Region, Macau. The first outing in this venture hit stumbling blocks and never quite got its feet under it. The second attempt is the newly birthed Extreme Wrestling Entertainment (EWE,) which is owned by a local combat sports celebrity, Cai Liangchan, who has decided he wants to take bumps and get involved in professional wrestling, teaming with Lun in the main event of their first show. In each of these promotions (HKWF, KOPW, and EWE,) Ho Ho Lun occupies a position in charge of the creative direction and production of events. On top of these, he also helps to produce and promote Dragon Gate’s increasingly frequent Hong Kong shows via his connection to Jason Lee, arguably the most visible and successful star from China thus far. A star whose opportunities came in the wake of the trail Ho Ho Lun blazed when he founded the HKWF. Outside of the bounds of the Chinese scene he has spent his post-WWE time building up a network of connections throughout East, Southeast, and South Asia working in places such as Pakistan, the Philippines, Singapore, and Thailand. He aims to help elevate these territories and develop their scenes as part of a vision he has for an Asian Wrestling Revolution. A vision which may just lead to the promotions he runs having some of the most diverse and distinct rosters around, as he draws upon innumerable cultural background as his network expands. A western promotion, should they partner with Ho Ho Lun, may wind up having access to a remarkably deep and excitingly unique system through which wholly new, thrilling, fresh talent could be brought over to catch viewer’s eyes. Billing himself as both the “Best Wrestler in China,” and as “The Insolent Devil,” Gao Yuan is not shy about his opinion of his place in the nascent scene. Another student who initially sat under The Slam’s learning tree, he wound up making the decision to splinter away from The Slam and start his own promotion, We Love Wrestling (WLW,) who strategically take advantage of events bookings to get shows in Mall’s to celebrate openings and at Chinese New Year’s festivals. A clever strategy in the Chinese market that allows them to get in front of eyes that are new and may not decide to see a local event otherwise. Highly-translatable charisma is one of his strongest selling points to a western promotion, with what minimal language barrier exists being obliterated by his smooth sinister attitude and confident body language. This self-assuredness comes on the back of him having worked with remarkable talents along the way like a young Pete Dunne, and someone he shares remarkable chemistry with, Jason Lee. In any of the matches I have seen him in, against talent with access to far more regular training and established training resources than China has to offer, he has never felt out of place. 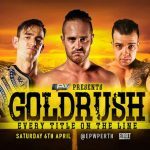 His in-ring performances are energetic and entertaining, with a very western super-indie friendly style loaded with cool looking moves, which would make him an easy performer to slot into almost any modern promotion. 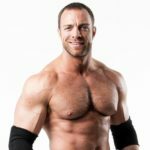 In conjunction with his charisma and strong language skills this puts him in a strong place to be able to make a transition to a company like Ring of Honor or Impact Wrestling who may look to get their hands on a Chinese star that their audience would appreciate just as much as a Chinese audience would. Furthermore, he is also the owner of the mainland Chinese WLW (We Love Wrestling) promotion which regularly features one of the stronger talent pools in the Chinese scene outside of Oriental Wrestling Entertainment. On top of that, his company has recently started working with OWE associated foreign talents, and he aims to build that bridge to provide the best wrestling he can to his audience. Considering how OWE have formed strong bonds with other promotions that have used their talent even briefly, such as Taiwan’s NTW, a promotion Gao Yuan is also very close with, and the subsequent pattern that saw Taiwanese standout Rekka tour with OWE, it isn’t much of a stretch to say that we may see Gao Yuan mixing it up with their roster as well. With big plans for 2019 and a solid body of work under his belt, Gao Yuan’s future looks very bright. Working with Gao Yuan would provide a western company with not only a solid, charismatic rising Chinese star but also a cadre of capable performers practically unheard of in the west, and a network of connections to talent pools from nearby Taiwan and extending into Singapore as well. Wow! Those last two slots very easily could have swung in the other direction with Lun on top and Gao Yuan just a hair behind him. In fact, towards the end of writing this article, I considered having them share the “#1” position. Arguably Ho Ho Lun’s efforts in building the scene and working abroad have made him better connected throughout Asia than Gao Yuan is, which offers a potential partner a potentially very powerful but wholly untested and unquantifiable benefit. Unfortunately, I think the negative impression of him that lingers among North American fans make him a harder sell than Gao Yuan. Gao Yuan edged out over top of Lun because, as an individual performer, he’s better in the ring, and he offers a smaller scale version of what Ho Ho Lun’s connections will eventually turn into. This wasn’t the only tricky decision on the list. The performers slotted in at #4 and #5 saw a lot of shuffling and hemming and hawing before I was sure I’d landed on the best formulation I could muster. 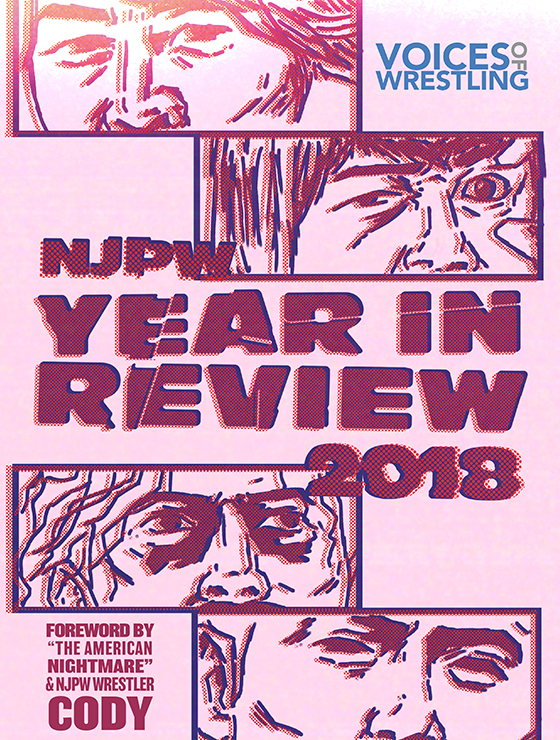 These five men represent a world of potential in an emerging East Asian pro wrestling landscape, one that will develop unlike any other region thus far, in a highly digitized age and interconnected through the efforts of many different players to China’s various neighbors and allies. 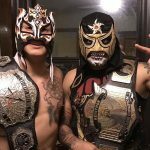 Any western promotion looking to tap into the explosion of interest the art of professional wrestling has looming on its horizon in China would do well to seek out these men.